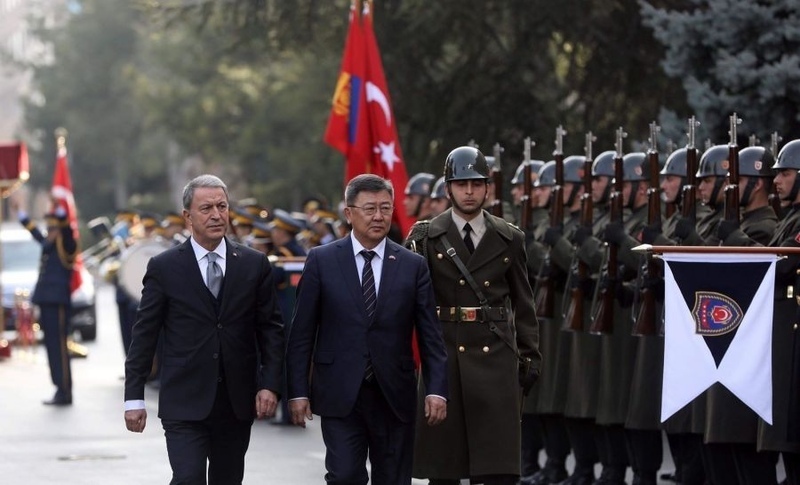 AKIPRESS.COM - Minister of Defense Nyamaagiin Enkhbold visited Turkey on March 13-15. Trade, economic and humanitarian activities have been active between the two countries that have had a long history of friendly relations. Defense sector’s relations and cooperation came into a new level from 1999, Montsame reports. During the visit, tete-a-tete and expanded meetings were held to exchange views on defense sector’s cooperation and relations. Within the visit, the Minister got acquainted with operations of Mechanical and Chemical Industry Corporation, which supplies Turkish armed forces with military products. Moreover, the Minister met with Mongolian cadets studying in Ankara and participated in a wreath laying ceremony at the Chinggis Khaan statue in Chinggis Khaan Park, Cankaya district of Ankara.